Sigma is ISO 9001:2008 air testing laboratory providing Indoor/ Ambient Air analysis, stack emissions, noise level monitoring, generator and engine exhausts, volatile compounds, semi-volatiles, hazardous air pollutants, air toxics, and particulates. With the aid of experienced professionals, we are engaged in offering the best quality of Environmental Testing Labs In India to our clients. These services are rendered by professionals. 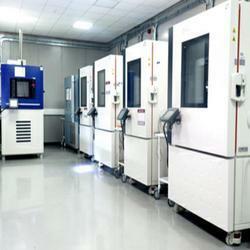 In addition to this, these testing lab services are executed to provide optimum customer satisfaction. Being one of the reputed companies, we are offering a wide range of Sound Meter Testing Lab to our precious clients. Our professionals make genuine efforts to provide this testing lab service within the promised set of time span. Offered testing lab services are highly credited for their promptness and reliability. Analytical capabilities of ISO 17025:205 accredited Sigma include advanced solutions for environmental testing for water, soil, air, noise, chemicals, and other samples through Trace Analysis, Ambient Air Testing, Stack Emission Testing, Water Testing, CO2 Emission Calculation, Contamination Analysis and much more. A clean and safe environment is a pre-requisite for health and quality of life. Sigma Test & Research Centre focuses on delivering analytical services that address current environmental analysis issues and develops new solutions for challenges that the market and our clients anticipate facing in the future. Our services comprise testing of water, air, soil, waste and other products to assess their quality and impact on health and the environment. We provide full service environmental consulting & testing services to municipal, industrial, household & private concerns. Ambient air Testing:We offer critical Ambient Air Testing Services. Our service comprises ambient air, stack emissions, noise, soil, sludge, effluent, generator and engine exhausts, volatile compounds, semi-volatiles, hazardous air pollutants, air toxics, metals and particulates. We also offer ambient air analysis, stack emission monitoring. Stack emission Testing:We offer critical Stack Emission Testing Service which is appreciated for flexibility and offering most effective outcome. An excessive production of paints, plastics printing inks and adhesives give rise to excessive stack emission. We test the range for stack emission with our requisite tools & equipment. Our mission is to help manufacturers to cope with health, safety and environmental issues. Water Testing:Our Water Testing Services are well appreciated in the market. Over the years we have become synonymous with quality service providers in the domain. 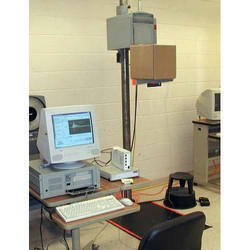 We leverage on cutting edge tools and equipment for testing water. Today we are a name to reckon with for our professional handling of these critical areas. 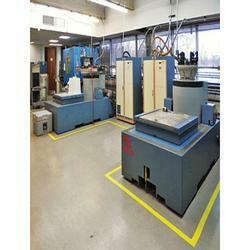 Our testing range offers critical solutions for all applications and budgetary profile. 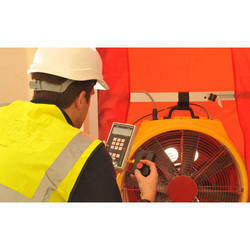 Noise level Testing:The unwanted sound is called noise. Environmental noise is evaluated by comparing a measurement or prediction of the noise to one or more criteria. There are many different criteria and ways of measuring and specifying noise, depending on the purpose of the evaluation. Soil Testing:The introduction of substances, biological organisms, or solid wastes the soil, results in a change of the soil quality, which is likely to affect the normal use of the soil or endangering public health and the living environment, therefore it is necessary to consider it as a determinant to the environmental quality. Assessment studies:An Environmental Site Assessment is a report prepared for a real estate holding which identifies potential or existing environmental contamination liabilities . The analysis, often called an ESA, typically addresses both the underlying land as well as physical improvements to the property. Contaminated sites are often referred to as Environmental assessments are made for many types of construction projects and environmental studies. These environmental assessments and studies sometimes require other drilling related activities including rock coring, the installation of monitoring wells, piezometers, lysimeters, gas probes and inclinometers. 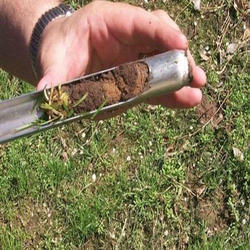 Field and laboratory testing are performed for soils subsoils and water. 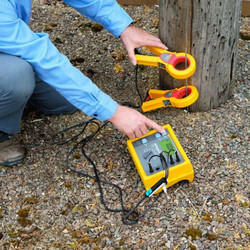 Through regular improvement, we are offering an exclusive collection of Earth Resistance Testing. Our professionals make genuine efforts to provide this testing lab service within the promised set of time span. In addition to this, offered service is much-admired by our clients for its accurate output and promptness. 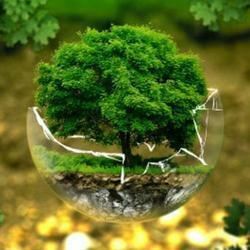 Being one of the reputed companies, we are offering a wide range of Earth Resistance Testing Services to our precious clients. Our professionals make genuine efforts to provide this testing lab service within the promised set of time span. Offered testing lab services are highly credited for their promptness and reliability. Being one of the reputed companies, we are offering a wide range of Earth Resistance Testing to our precious clients. Our professionals make genuine efforts to provide this testing lab service within the promised set of time span. Offered testing lab services are highly credited for their promptness and reliability. Sigma provide ISO 17025 accredited analytical services for DG stack testing and stack emission monitoring including NOx, N2O, CO, CO2, O2, SO2 and CxHy emissions required for integrated pollution prevention control (IPPC) and compliance testing. Through regular improvement, we are offering an exclusive collection of DG Stack Emission Test. This assessment service is performed within the scheduled time frame. In addition to this, offered service is much-admired by our clients for its accurate output and promptness. 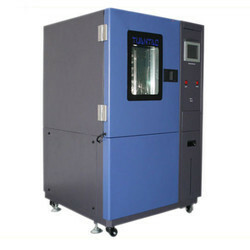 Being one of the reputed companies, we are offering a wide range of DG Stack Emission Laboratory to our precious clients. Our professionals make genuine efforts to provide this testing lab service within the promised set of time span. Offered testing lab services are highly credited for their promptness and reliability. Through regular improvement, we are offering an exclusive collection of Environmental Impact Assessment. This assessment service is performed within the scheduled time-frame. In addition to this, offered service is much-admired by our clients for its accurate output and promptness. Sigma analyses soil samples for pH, soil salts and nutrient levels in the soil for identifying its suitability for agriculture, presence of metals, organic matter, resistivity, crop nutrient requirements, fertilizer recommendations to get maximum productivity. Through regular improvement, we are offering an exclusive collection of Environmental Stress Screening. This Screening service is performed within the scheduled time-frame. In addition to this, offered service is much-admired by our clients for its accurate output and promptness. 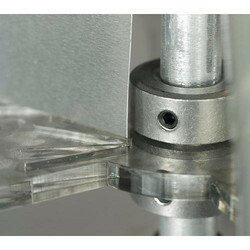 Sigma is a NABL certified, ISO 17025 accredited laboratory with advanced solutions for temperature simulation and environmental testing chambers with constant or cyclic temperatures ranging from -80°C to +350°C, using walk-in chambers, smaller chambers, Automated thermal shock testing and more.